Thread: What would make learning about 3D Printing & Design fun for you? There's always talk about how teachers could use these skills in their classes, but I really don't see many students talking about why they want to learn, and in what ways they would like to learn. Any students out there who either have a printer at their school, or want one, what kind of things would you want to see being taught in the classes? From you, as a student, what would make the class better? More interesting? Hey dear, I agree with your post and these type of problems are very common in every student because sometimes they are not interested with the 3D printing but their teachers also hard work for them and give the learning tips and make the 3D design projects. So, students should do the hard work and take the best assistance and tips with their teachers and they can also take help with MBA assignments help UAE company who is also working on developments and designing. 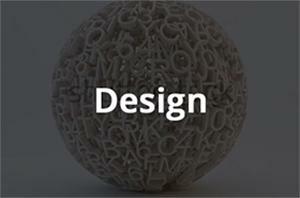 This topic is very interesting for the student because the student can get information here about 3D Printing & Design. When I was a student - I would love to have 3d printer at school. But they actually became popular thing when I was already working with them. It's really interesting and fun thing to do in school. There should be classes. What kind of student are we talking about? College, High school or middle school? I once visited Autodesk and they did workshops for kids and teenagers. What was cool was that there was a printout sheet with instructions (much like Lego) and they could pick from a few different models. The objects where things that they would want, like a iphone stand for a table, a fish with bearing rings and a back scratcher. I think what you make, and also that its not too time consuming (30mins or so) is crucial to not loose patience.